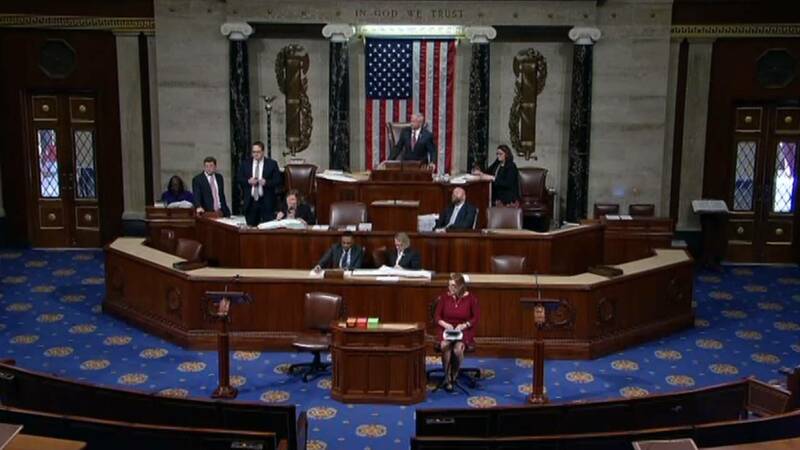 (CNN) - The Congressional Black Caucus signaled in a letter on Thursday that if Democrats win the majority in the House of Representatives, they would like African-American representation in at least one of the top two leadership positions for the party in the chamber. An African-American member has never served in either of the top two leadership positions. The private letter was sent from the chairman of the caucus, Rep. Cedric Richmond of Louisiana, and was prompted by "much speculation" about how Democrats will govern if they should assume the majority. Though Richmond praised current leadership, he states that the Congressional Black Caucus' role in the Democratic caucus remains "inconsistent with our most powerful leadership roles in the House." "African Americans deserve more than a simple gesture of gratitude -- they deserve representation at the apex of the party's infrastructure," Richmond wrote. Politico first reported the existence of the letter. Currently, Nancy Pelosi serves as the Democratic minority leader, while Steny Hoyer serves as the minority whip, the No. 2 position. Pelosi is seeking the role of speaker of the House should Democrats reclaim the chamber and one source told CNN Hoyer is expected to seek the majority leader spot. South Carolina Rep. Jim Clyburn, the current No. 3 leader as House assistant Democratic leader, has also indicated that he would be interested in a leadership position. Richmond cited numerous contributions that the Congressional Black Caucus has made recently, including a meeting with newly elected President Trump in 2017 that resulted in the Jobs and Justice Act of 2018, and also a strategic plan to increase African-American voter turnout for the Senate special election in Alabama in December 2017. Democratic leadership elections are tentatively scheduled for the week after Thanksgiving. Hoyer and Clyburn previously competed for the minority whip position in 2010, but after it was clear Clyburn didn't have enough support, House Democrats created the assistant Democratic leader position.